Yesterday we welcomed the lively Lizzy. 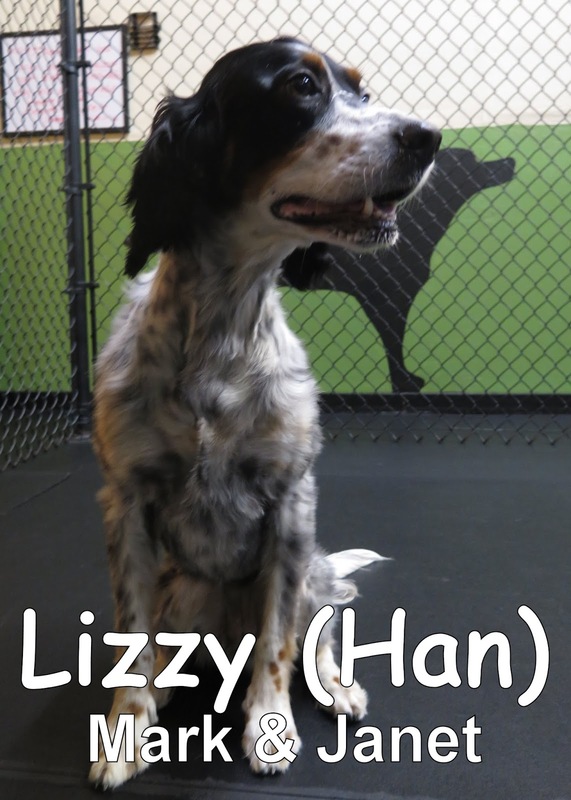 Lizzy is a 7 year-old, 37 lbs., English Setter. As soon as she had entered the lobby, she was ready to have a fun day. She strolled forth into the medium dog program and casually sniffed about awaiting for the others to join her. As soon as the others showed up, Lizzy began to play with them. Take a gander at Lizzy playing with Skadi and Daisy below. We hope to see Lizzy more for lots of fun with her new friends.